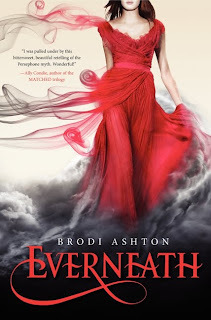 Publisher's Summary: Last spring, Nikki Beckett vanished, sucked into an underworld known as the Everneath. Now she’s returned—to her old life, her family, her boyfriend—before she’s banished back to the underworld . . . this time forever. She has six months before the Everneath comes to claim her, six months for good-byes she can’t find the words for, six months to find redemption, if it exists. This giveaway runs for only 24 hours so check back tomorrow for the last Blogoversary giveaway! Awesome giveaway!! I loved Everneath so having a pretty signed copy would rock!! I have got to get a copy of this one!